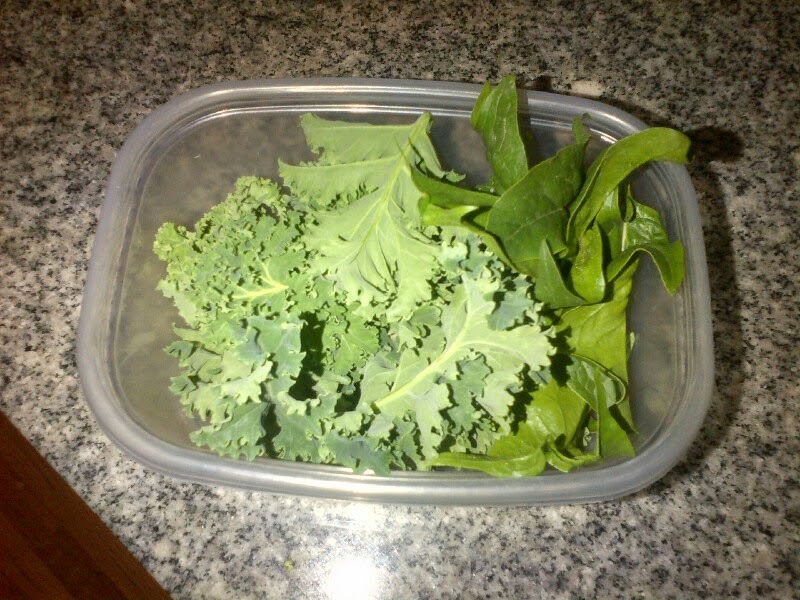 I apologize for not writing on here lately but I have been super busy with the garden. I cannot believe that it is already late spring early summer but it is. Where has the time went? 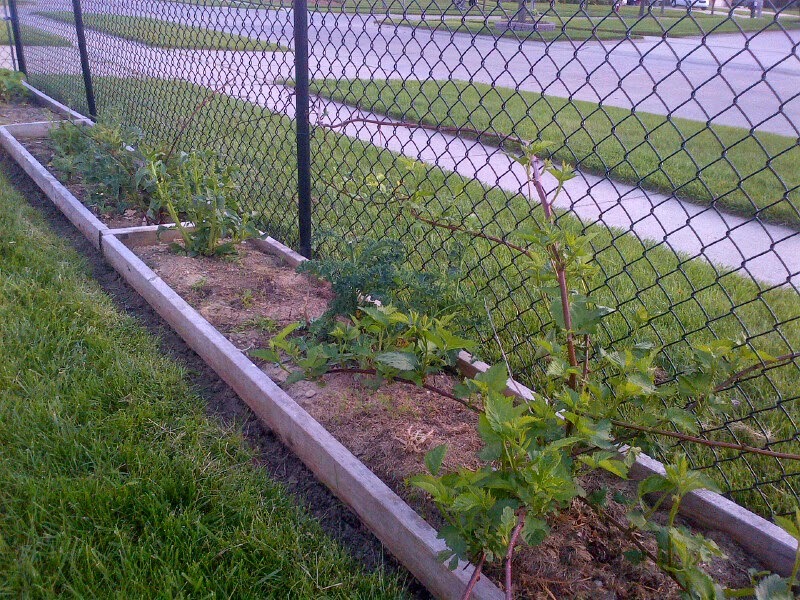 Anyhow, here is an update from my garden on May 23rd 2014. 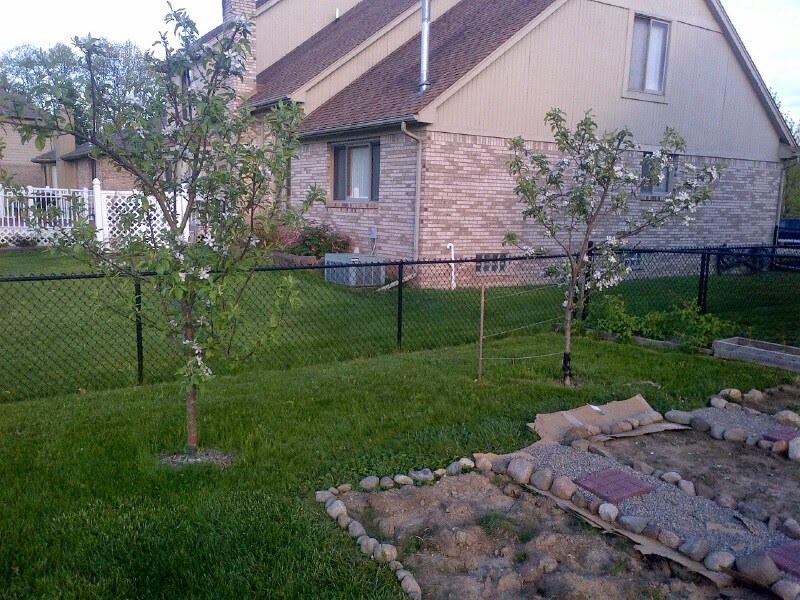 Apple trees in bloom and the edge of one of my new projects. More to come on the new project! 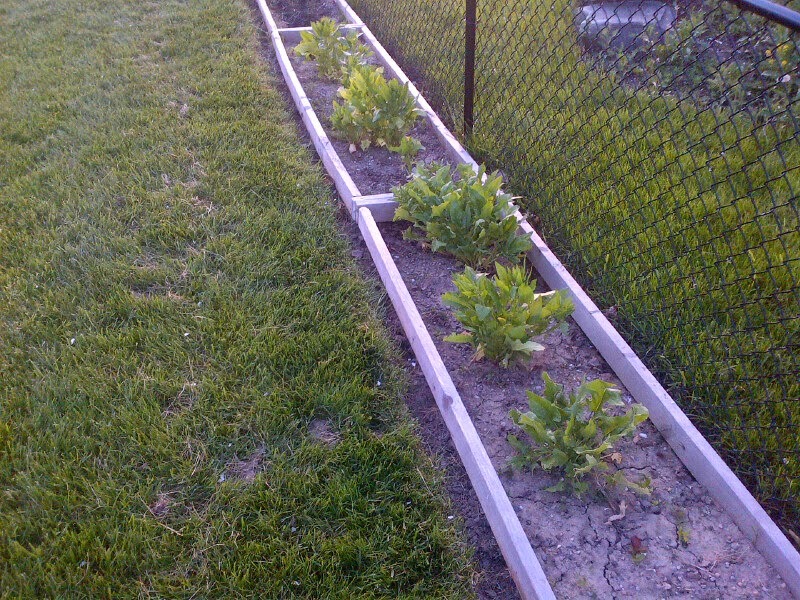 Spinach that survived the winter. 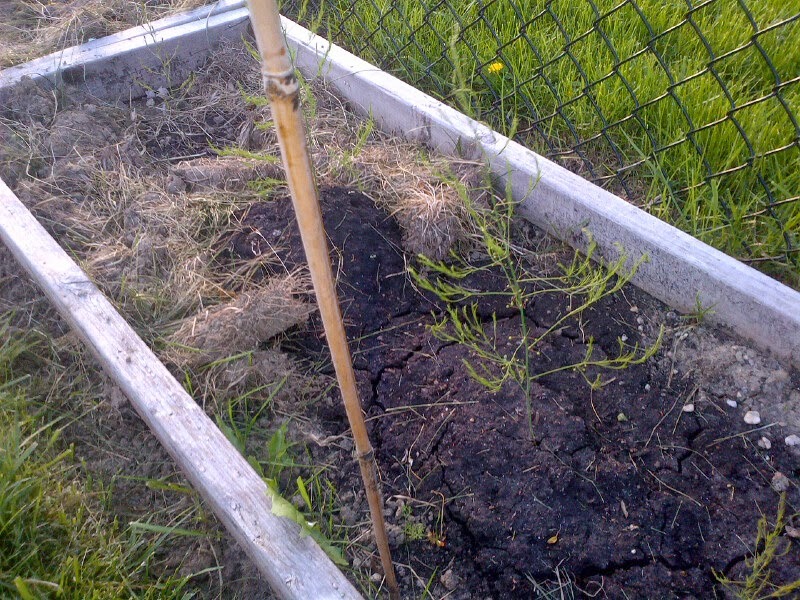 Asparagus I planted this year. 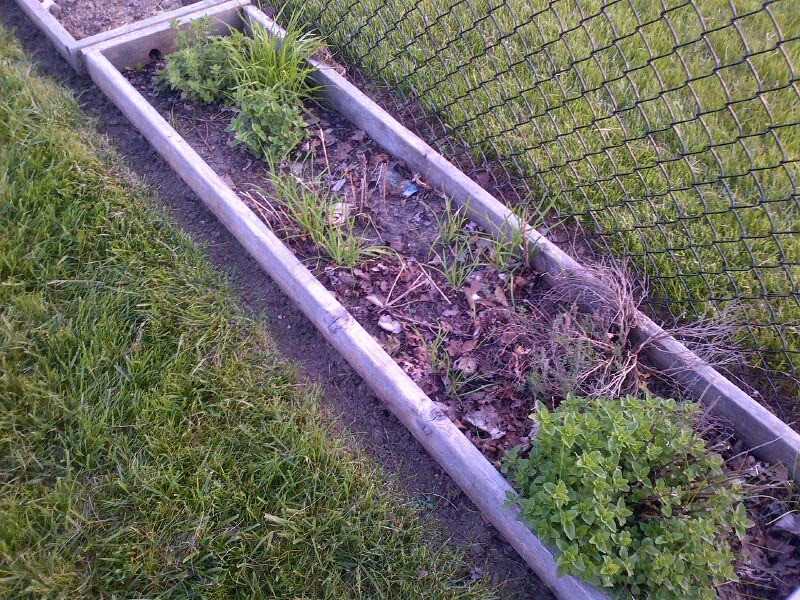 My herb bed. Thyme, oregano, chives. 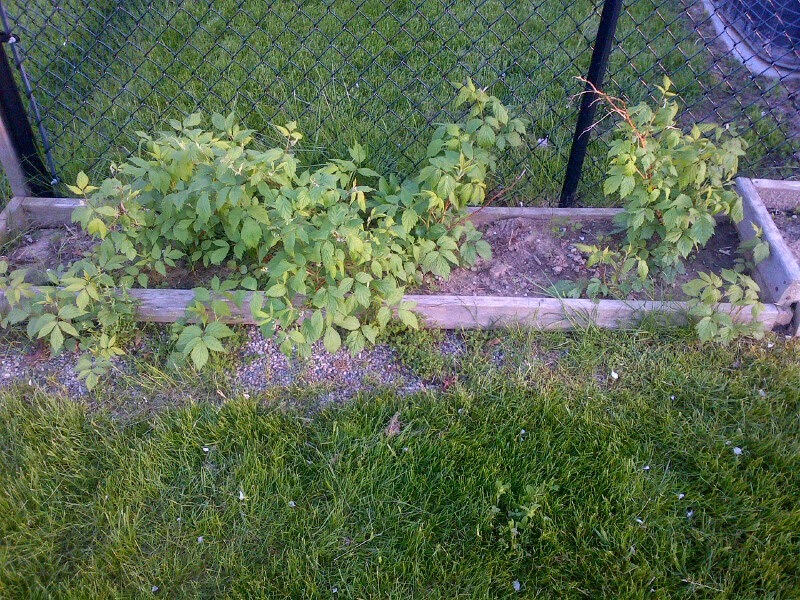 Blackberry bushes I planted last year and Kale that survived the winter. 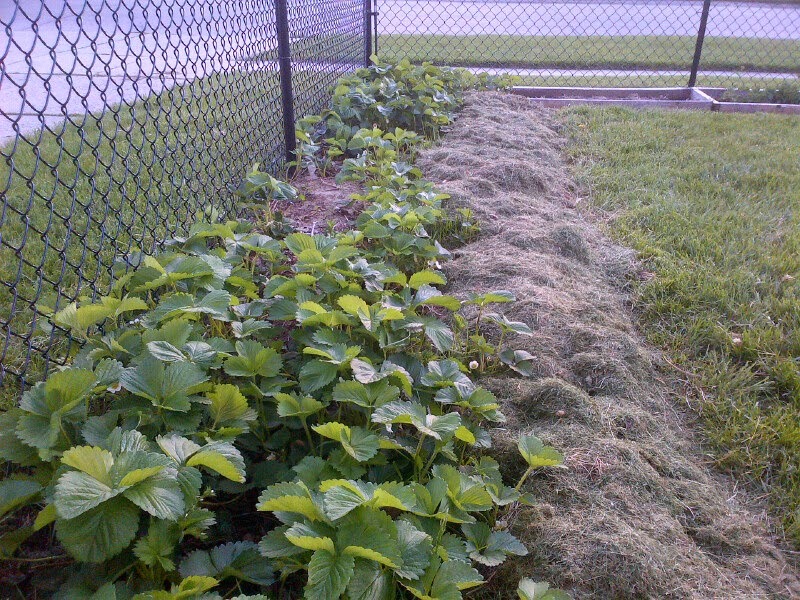 Strawberry patch from last years planting. I cleared more ground next to them to allow the runners to spread for next year. Dill and Cilantro volunteers from letting plants go to seed last year in the front. Onions next then a lettuce patch by the chairs towards the end of the bed. 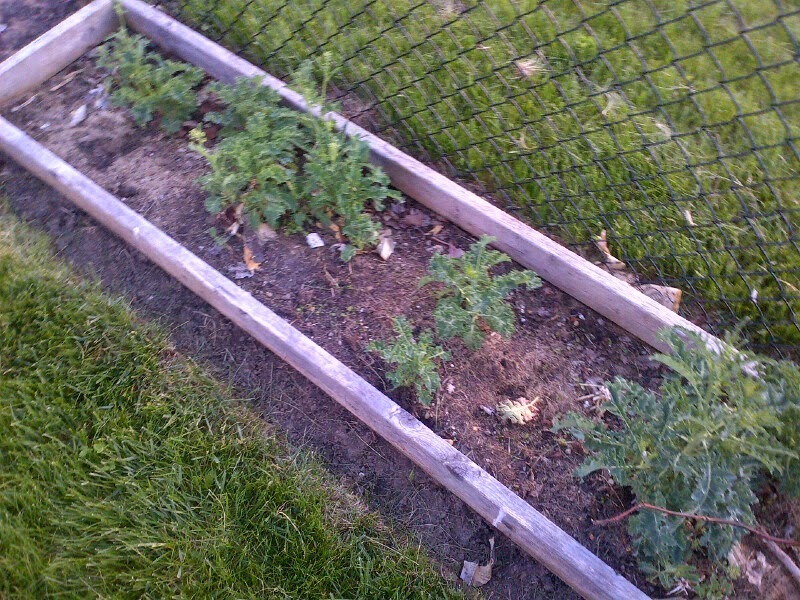 The cilantro/dill smells awesome! 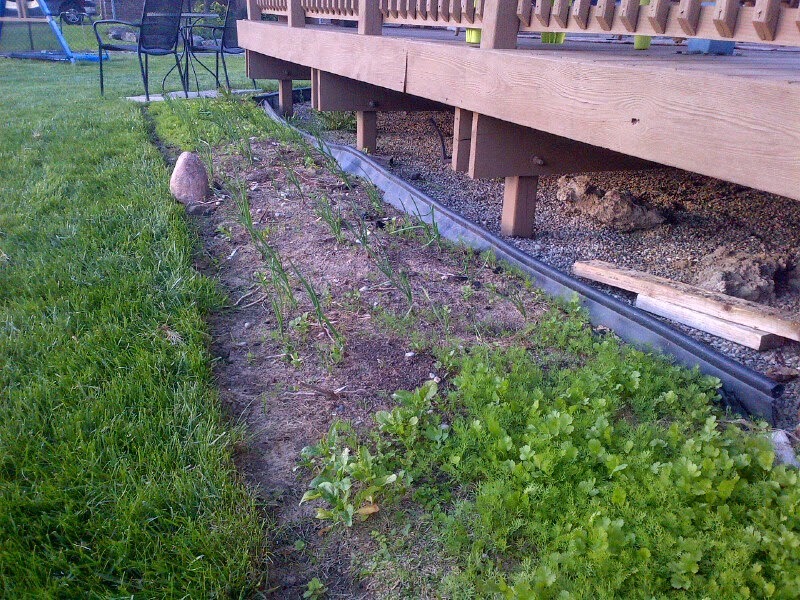 From the front- radish seedlings started to come up. 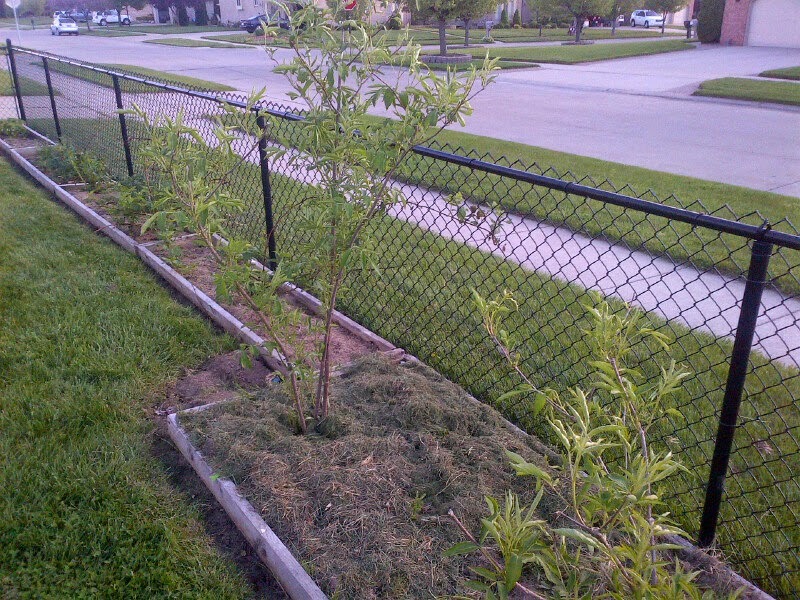 A nice spinach plant that survived the winter. 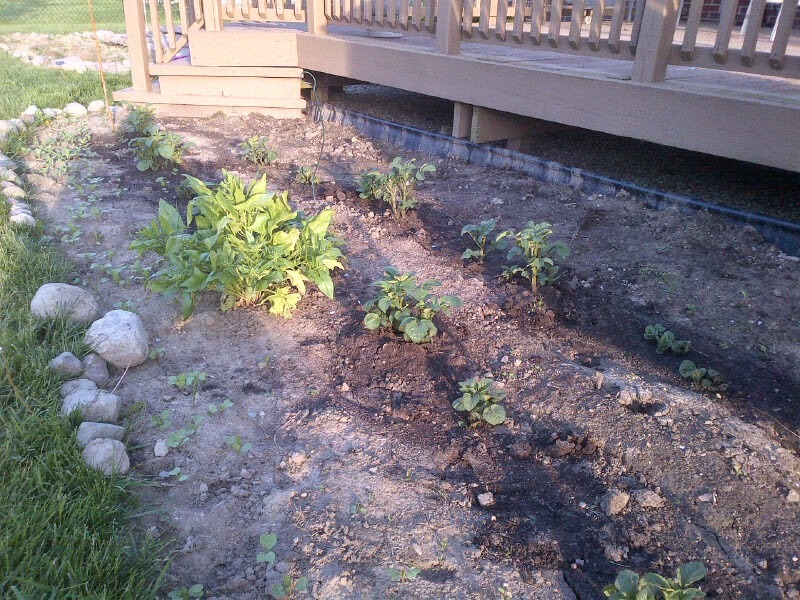 Two rows of potato plants. 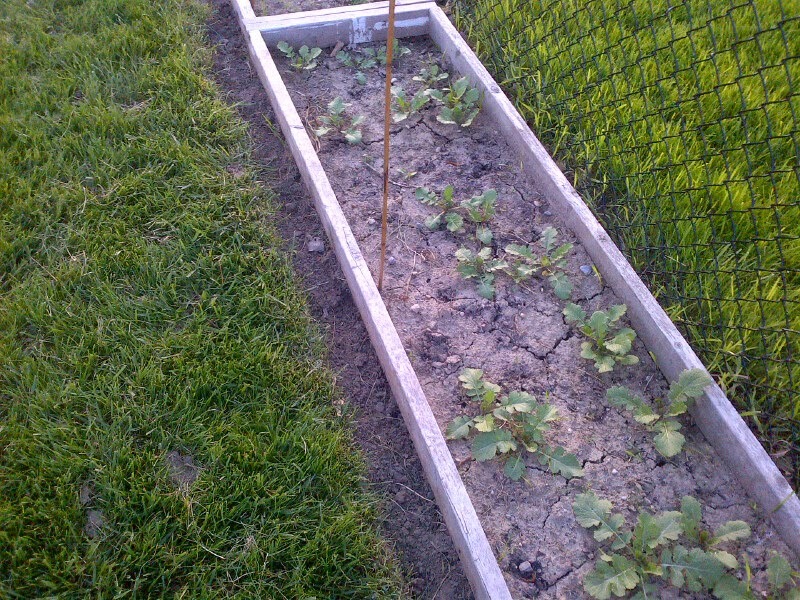 Behind the potato plants I have a row of sunflowers planted with 4 peas/pole beans planted around them to run up the stalks. I also have peas in one bed I forgot to take a picture of as well as two beds of carrots, one bed of red beets, a section of garlic, and a bed of parsnips. That is just a start. I have much more to add!